It's Scruffy's World... I Just Live in it. Every so often i'll be offering a freebie. I'll put it here for you guys to download! Check back to see if I put anything new up or subscribe to my blog to get updates! 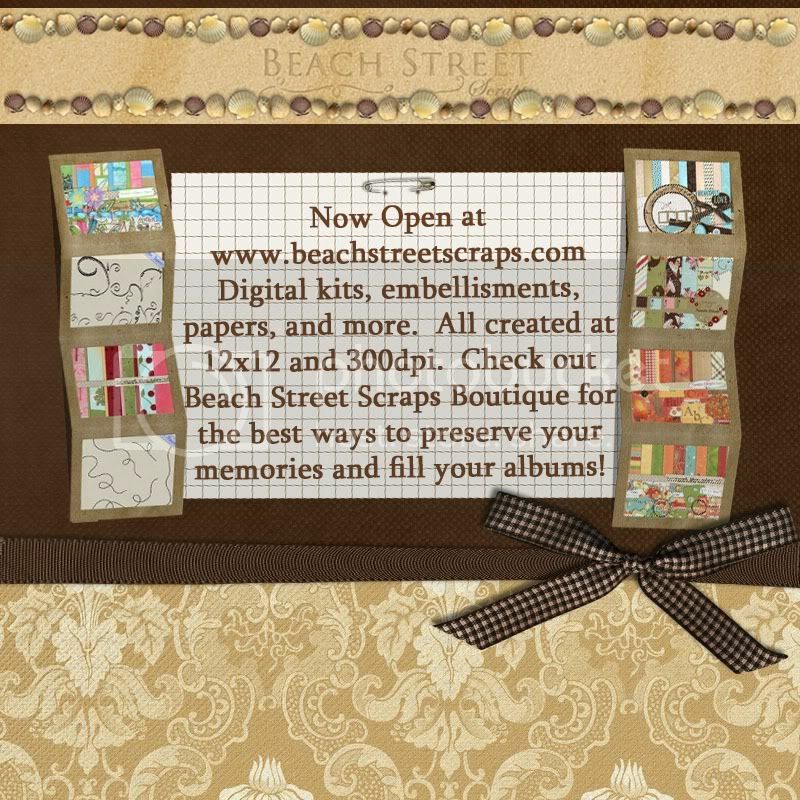 BEACH STREET SCRAPS GRAND OPENING! Designers you know, new store! Grand Opening Wednesday February 17, 2010. 30% off Everything for 3 Days only! New!! Boo To You Too!!! Want to Win some Cool Tangible Goodies?